Product prices and availability are accurate as of 2019-04-18 01:46:44 UTC and are subject to change. Any price and availability information displayed on http://www.amazon.com/ at the time of purchase will apply to the purchase of this product. Made of stainless steel material in silver tone, used for a long life span. 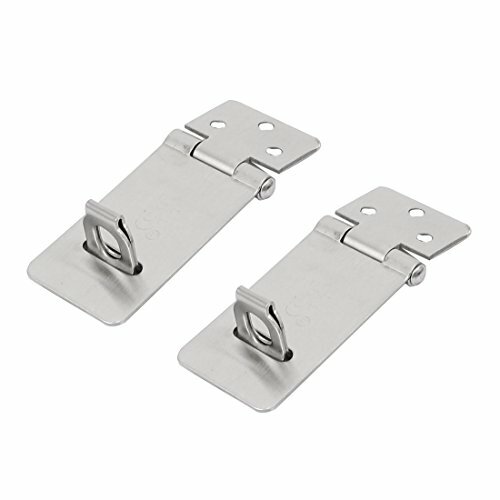 Ideal for using on doors, gates and cabinets, etc. 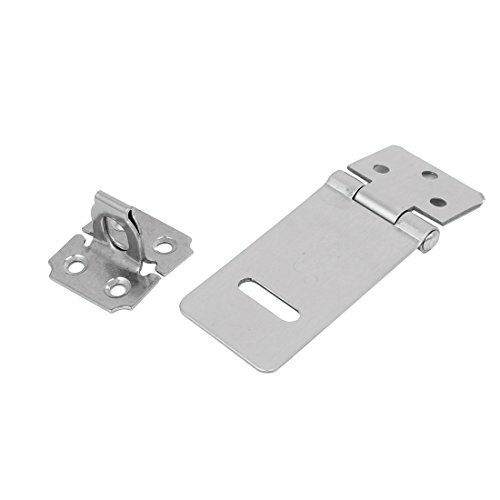 Product Name: Hasp Staple; Material: Stainless Steel Weight: 58g; Package Content: 2 x Hasp Staple Main Color: Silver Tone; Dimension: 50 x 28 x 6mm/2" x 1.1" x 0.24" (L*W*Max.T) Hole Diameter: 3.5mm/0.14"; Staple Size: 27 x 24 x 16mm/1.1" x 0.9" x 0.6" (L*W*H) Fit for Padlock Diameter (Max. ): 9mm/0.35"; Total Length: 70mm/2.8"